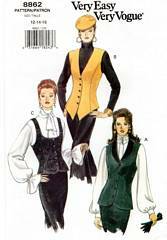 Vest has neckline variations, low armholes and princess seams. Shaped hemlines. Optional shawl collar.